MGF Fuel Injector Rail. Model - MGF. Engine - 1.8 Petrol (120bhp). Details of the dismantled vehicle Year - 2001. Range Rover Evoque 2.2D fuel lines set like new, has once been fitted on engine but not run. Can collect..
PART NO:AHU2949. FUEL PRESSURE REGULATOR UNIT TO FIT. Rover sd1 may fit others check the part number. Rover 114 air filter housing and intake pipe complete with air intake temp sensor. Full working order. Removed from a 1996 Rover 114, but fits the Rover 100 series from 94-98. This is needed for both of our security. Range Rover III TD6. It's made from high quality viton material rather than the cheaper Nitrile material. These are OEM VITON seals from one of the UK's leading trade supplier, not cheap developing world imports made to low standards. BOSCH - 0445010011;. 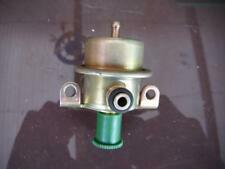 ROVER 75 Injector Pump (High Pressure). 2006 ROVER 75 which we are dismantling. The Part imaged and described is th eactual part you will recieve. Drive side RHD. Drive type Fwd. 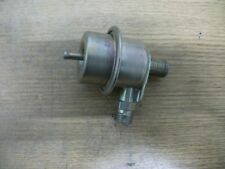 TD6 DIESEL FUEL RAIL & SENSOR BOSCH 0445216002. THIS HAS BEEN BEEN REMOVED FROM THE 30/7/2004 RANGE ROVER L322 VOUGE TD6 DIESEL AUTO JAVA BLACK. TD6 3.0 AUTOMATIC. RANGE ROVER L322 VOUGE. This part has been removed from the car shown in the photo's. Fuel type: Petrol. 2004 ROVER 25 Injection Rail. HFIR1950 Fuel Injection Rail. This item has been removed from a: 2004 ROVER 25. Part Type: Injection Rail. Make: ROVER. Year: 2004. Vehicle Colour: Red. THIS HAS BEEN BEEN REMOVED FROM THE 30/7/2004 RANGE ROVER L322 VOUGE TD6 DIESEL AUTO JAVA BLACK. TD6 3.0 AUTOMATIC. TD6 3.0 HIGH PRESSURE FUEL INJECTOR PUMP. RANGE ROVER L322 VOUGE. This part has been removed from the car shown in the photo's. Any problem will be resolved regarding our support team. We always will do the best for both sides to be happy! TO CORRECT PARTS! IN DOUBT WHETHER IT WILL FIT?. If the item is used, we are unable to accept the goods back. K. SERIES ENGINE FUEL PRESSURE REGULATOR FITTED TO BARE FUEL RAIL. NO INJECTORS. THIS IS A VACUUM OPERATED REGULATOR THAT BOLTS DIRECT TO THE INLET MANIFOLD AFTER FITTING YOUR INJECTORS. LOW FUEL PRESSURE A KNOWN FAULT FOR POOR RUNNING. Item Specifics:1999 - 2004 - MK1 - 1.4 PETROL - INJECTION RAIL. Part:Injection Rail. This Injection Rail was removed from a2002 car and has been fully inspected. 25 1999 -2004 Mk 1. (ROVER 75 Injection Rail 0000181956. Other Details: Mk 1 1999-2004 1.8 RAIL WITH BLUE INJECTORS. Jersey, Guernsey, Scilly Isles) as well as for the Scottish Highlands. HS1-9, IV40-51, IV55-56, KA27-28, KW15-17, PA20, PA41-49, PA60-78, PH42-44, ZE1-3. 20D42 M47R 2.0 DIESEL BOSCH 0445110030 / 2354745. THIS ITEM IS A USED 2003 ROVER 75 FUEL INJECTOR REMOVED FROM A 2003 ROVER 75 CDTI CONNOISSEUR. VEHICLE GUIDE. Cleveland Auto Recyclers ltd AS SOON AS POSSIBLE. Fuel inj 2000cc / Petrol. Fuel Injector Rail. Genuine OEM Rover Part. Rover 200/400/800 Series. Rover Models. 200 Series 3 & 5 Door Oct 1989 – Oct 1992 VIN 605481. 400 Series 4 Door Oct 1989 – Oct 1992 VIN 605481. 20D42 M47R 2.0 DIESEL BOSCH 0445214011. THIS ITEM IS A USED 2003 ROVER 75 INJECTION RAIL REMOVED FROM A 2003 ROVER 75 CDTI CONNOISSEUR. Cleveland Auto Recyclers ltd AS SOON AS POSSIBLE. 2001 Rover 75 2.0 Petrol Injector. Removed from a 2001 Rover 75 2.0 Petrol 5 Speed Manual Classic SE 4 Door Saloon that has covered 39460 miles. 6 Cyl 24v V6. 75 1999 To 2004. Channel Islands. Gaskets & oil seals are not covered. 1.4 Petrol 16V MK1 5Speed 3Dr. Injection Rail. This part was removed from a Right Hand Drive Vehicle. Compatibility is a guide only. Your item will need to be signed for. Other Details. TRIM LEVEL. Part:Injection Rail. This Injection Rail was removed from a2001 car and has been fully inspected. 25 1999 -2004 Mk 1. Item Specifics:1999-2004 - MK1 - 1.4 PETROL - INJECTION RAIL - WITH INJECTORS. Part:Injection Rail. This Injection Rail was removed from a2003 car and has been fully inspected. 25 1999 -2004 Mk 1. Manufacturer: Rover. Genuine used part removed with expert care and tested where possible. K series temperature sender Elmwood sensors ES 120-4. Grab a bargain. Item Specifics:2004-2007 - 1.4 PETROL - MK1 - INJECTION RAIL - WITH INJECTORS. Part:Injection Rail. This Injection Rail was removed from a2005 car and has been fully inspected. 25 2004 -2007 Mk 1 (Facelift). ROVER 75 Fuel Injector. 2002 ROVER 75 which we are dismantling. 75 1999 -2004 Mk 1. HS1-9, IV40-51, IV55-56, KA27, KW15-17, PA20, PA41-49, PA60-78, PH42-44, ZE1-3. AB30-38, AB44-56, FK17-99, G83, IV1-28, IV30-39, IV52-54, IV63, KW1-14, PA21-40, PH15-26, PH30-41, PH49-50. Rover 25 MGZR Range, EXCEPT 2000cc 16V K Series, from serial number 471565. Rover 45 MGZS 4 cylinder K series from serial number 471064. Rover 75 MGZT range 1800cc Petrol engine. Genuine Rover part. Item Specifics:2000-2004 - MK1 - 1.8 PETROL - INJECTION RAIL - WITH INJECTORS - 2 2 2 2 PIN PLUG - PART NO 0280155884. Part:Injection Rail. This Injection Rail was removed from a2004 car and has been fully inspected. Rover 75 / MG ZT Diesel 2001. Diesel Fuel Injector Rail. I only know that the item will fit the pictured car. ITEM IS AS SEEN IN IMAGES.THIS ITEM OPENS AND CLOSES FROM THE BACK AND HAS A COUPLE OF SCRATCHES ON IT. SCRATCHES DUE TO BE KEPT IN STORAGE. OTHER BITS THEY WILL BE SHOWED IN THE PICTURE. 12227: 0280155885 Rover 75 Fuel injector rail (injectors)(Fuel distributor) 2001. 12227: 0280155885 Rover 75 Kuro magistrale 2001. 12227: 0280155885 Rover 75 Einspritzleiste (Düsen) 2001. 12227: 0280155885 Rover 75 Топливная система (Магистральная трубка топлива) 2001. Engine 2,2 TD 10DZ87. Model EVOQUE. Fuel type diesel oil. The part number in the table above must be identical with the number of your part, otherwise the part will not work properly. SWIFT: INGBPLPW. Years, engine1998m., 77kw, 2000cc. Transmission & Drivetrain. Looking for used car parts?. We have lots of spare parts listed, and about 500 000 spares in the warehouse! We are always willing to work out any problems. Injector KBAL70P46 for Rover 400 RT 420 d 20T2R. Injector parts No. : KBAL70P46 (200 bar). Engine code: 20T2R. Type: 400 (RT) Rover 420 d hatchback, diesel. Dismantled of the following vehicle. ROVER 200 400 420 2.0 TD TURBO diesel injector KBAL 70 P46 nozzle pressure 200 BAR. Injector for Rover. ROVER 200 RF 2.0 D 95-00 KBAL 70P46-200 bar. All data the Rover injector at a glance Marke Rover. Years, engine2000m., 85kw, 1950cc. Transmission & Drivetrain. An item that has been previously used. Item will be sold as it is shown in the pictures. Part codes0445214011. We are always willing to work out any problems. Id452799: 0280155885 used Rover 400-Series Fuel injector rail (injectors)(Fuel distributor) 1996. id452799: 0280155885 used Rover 400-Series Kuro magistrale 1996. id452799: 0280155885 used Rover 400-Series Einspritzleiste (Düsen) 1996. Fuel injector rail (injectors)(Fuel distributor) Rover 600-Series. Type of fuel: Petrol. Rover 600-Series Kuro magistrale. Rover 600-Series Einspritzleiste (Düsen). Rover 600-Series Топливная система (Магистральная трубка топлива). 11846: 0280155884 2 Rover 25 Fuel injector rail (injectors)(Fuel distributor) 2001. 11846: 0280155884 2 Rover 25 Kuro magistrale 2001. 11846: 0280155884 2 Rover 25 Einspritzleiste (Düsen) 2001. 11846: 0280155884 2 Rover 25 Топливная система (Магистральная трубка топлива) 2001.